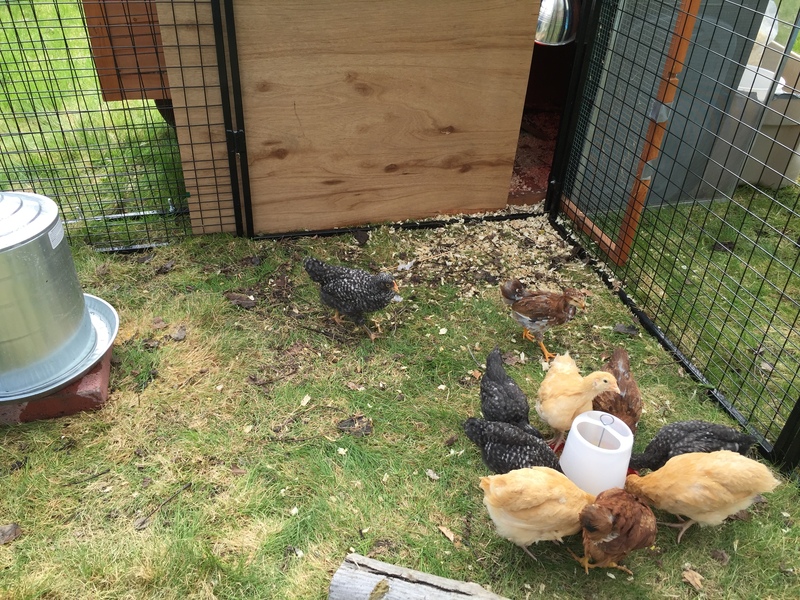 We let them out into their yard as a trial run–and then didn’t have the heart to put them back in that silly little tub. So, I’m afraid this is home now–come rain or shine. Pretty sure they love it. Their chirps are so soothing!